Open-F@b Call4Ideas 2018…and the winners are…. Mabasta, Leaf and Uyolo! BNP Paribas Cardif’s international contest, focused on Positive Impact Innovation, came to its end with the awarding of the winners. Isabella Fumagalli commented: “This year the topic of Open-F@b Call4Ideas has been very close to our minds since we no longer regard innovation as just a technology-related matter”. Mabasta (1st place), Leaf (2nd place) and Uyolo (3rd place) are the winners of Open-F@b Call4Ideas 2018, awarded during the final event of the international contest promoted by BNP Paribas Cardif, one of the top ten insurance companies in Italy, in partnership with InsuranceUp. A live choice among the best ideas having a positive social impact on people and community, was made by a panel of experts and the audience who voted for the ten finalists via web-app during the riveting Final Challenge where passion and creativity led the challenge. 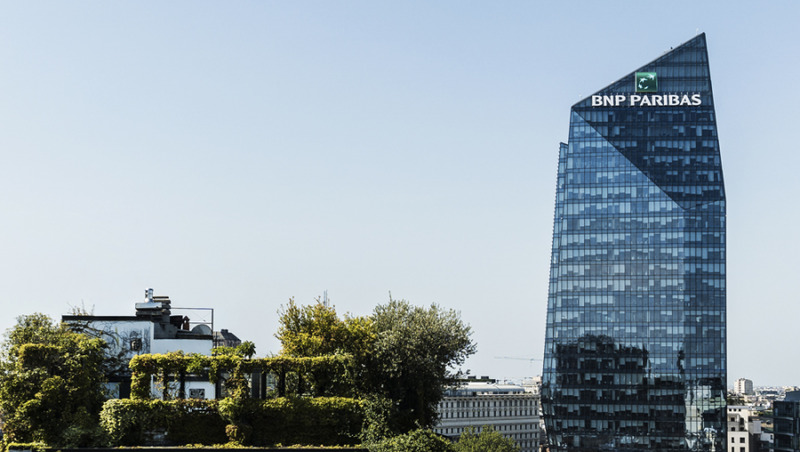 The three winners now will have the backing of BNP Paribas Cardif’s R&D team to support them in the development and implementation of their project, taking into account both market and company needs. The fifth edition of Open-F@b Call4Ideas, a long-lasting and successful contest that contributed in creating a consolidated model of Open Innovation for BNP Paribas Cardif, experienced a large participation with 129 projects received both from Italy and abroad, highlighting once again the importance of the topic. The three winning projects represented a perfect mix of innovation and sustainability. Mabasta will prevent bullying and cyberbullying in schools through “bottom-up” actions taken by guys themselves; Leaf will provide virtual banking services to fragile “crossing-border” populations, allowing refugees and migrants to travel safely, cashless, protecting their savings; Uyolo is an innovative startup focused on designing, developing and marketing innovative products with hi-tech value for charity, social entrepreneurship and humanitarian aid. In addition to the hi-tech content and the potential for generating a positive impact on people and communities, the key drivers behind the winning ideas include also the feasibility of the project. The award ceremony – hosted by blogger and radio anchorman Luca Viscardi – was held in Milan at Fondazione Catella, turned into a “Forest of Ideas” for this event. The guests were welcomed from the courtyard by light bulbs representing projects and ideas starting to sprout, inspired by the concept of the new park, “La Biblioteca degli Alberi”, where Fondazione Catella is located. The participants could then visit a path inside the area with lighting trees, each representing a shortlist project. The event opened with speeches by Isabella Fumagalli, Head of Territory for Insurance in Italy at BNP Paribas Cardif, and Kelly Russel, CEO and General Manager at Fondazione Catella, followed by other speeches by experts from Insurtech who shared their experience and livened up the evening. Andrea Rangone, CEO of Digital360, Gabriele Benedetto, CEO of Telepass and Marco Pozzi, Incubation Manager of ImpactHub were among the others. The Final Challenge, first led by Luca Viscardi and then by Giovanni Iozzia, Chief Editor of Economy Up, brought the start-ups to challenge each other in pairs with direct elimination. The event came to its conclusion with the awarding of the winning projects by Isabella Fumagalli and Andrea Veltri, Chief Marketing Officer&Strategy at BNP Paribas Cardif. “Mabasta” was born in 2016 as a movement designed and driven by teenagers, to tackle and perhaps prevent bullying and cyberbullying through “bottom-up” activities, on the part of the same guys. It is a social enterprise mainly working through the responsible and positive use of the web and technology. Mabasta speaks and interacts with guys’ multimedia and interactive languages as it “belongs” to guys. Its mission is to prevent and tackle bullying with bottom-up actions. This mission is carried out through a project called “Mabasta Model” and consists of an original series of advice and behaviors each class and school in Italy can freely adopt. The project is an innovative protocol of initiatives carried out almost only by students and supervised by adults (teachers and school principals). The Model is aimed for all school levels, from primary to high school. This is the first time that bullying and cyberbullying has been dealt with by young people themselves, who are directly involved and key players (victims, “bullies” but also spectators). To date, such a strong impact has been proved both by the number of students and schools interacting with Mabasta in the last two years, and by the strong focus on the media and institutions (President Mattarella, Ministers, the Parliament, Sanremo, Spiderman, newspapers, national TV and radio, …). Leaf provides virtual banking services offered to fragile populations crossing land borders. Leaf supports people who have lost access to everything they have earned by storing and transporting their goods across borders on a mobile device, without using a smartphone. Refugees and migrants can travel cashless, being aware that their accounts are safe and globally accessible. Leaf protects customer savings through blockchain technology without exposure to cryptocurrency volatility, setting the stage for an economic identity that includes biometric data, transactions and savings. Enabling customers who cross borders to preserve their savings, Leaf opens the way to international remittances while creating a proven biometric and economic identity. Leaf allows refugees to participate in the official economy. Increasing access to funds provides financial security and reduces reliance on host countries and foreign aid. Treating refugees as clients rather than as charities is helping to foster confidence, ensure responsibility and give dignity to refugees. Uyolo is an innovative startup focused on designing, developing and marketing innovative products characterized by high technological value for charitable, volunteering and social entrepreneurship, with the aim of turning these activities into an essential part of our daily lives and contributing to the 17 UN Sustainable Development Goals. Fighting for equality, women’s rights, sustainable and inclusive wealth and much more will be possible now thanks to Uyolo App, social network for social impact. Uyolo is the community for those who want to change the world. Thanks to Uyolo App, doing this is easy and fun. Within our social network committed to social impact, users can share content related to the social issue they are interested in, raise funds for certified non-profit associations, obtain information on the Sustainable Development Goals and donate with a simple “like”: a small technological revolution will achieve a huge change. With a great promise on its part, Uyolo was born to inspire youths to become players involved in the change and leaders in the Sustainable Development Goals (SDGs), for a community with a greater aptitude towards caring for others and sharing (our slogan We Care, We Share), with special focus on those who are “harmless”. Uyolo also aims to contribute to the development of an ethical and sustainable economy by raising awareness about SDGs and offering innovative services for companies committed to sustainability.